Long story short my girlfriend ran into the back of my car its not bad but her parents would rather just buy me a new rear bumper since im a week away from getting my car pianted ... (cant wait!) but the only problem is i cannot find a website the sells oem bumpercovers for a cheap price for there sake just need some help ebay was help less and so was google hopefully yall can help me out thanks! please guys need help asap! Or maybe majestichonda? I've never looked for body parts on there but they typically have everything lol. if anyone knows of any place that carries cheap oem 4th gen rear bumpers please let me know price range 0- 175$ thanks! 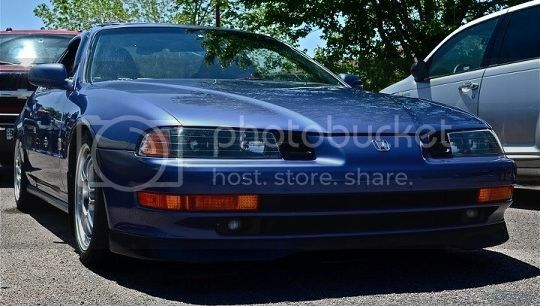 nah man not that i saw there all body kits and if there oem there just the front no rear from what i found and i searched al pages under "prelude rear bumper" but a repair shop locally can get one for 125$ brand new but thanks for all the help guys! haha thanks for the tip man but i found one for a good deal new locally but thanks! 97-01 prelude rear bumper, eBay Motors. Great deals on eBay!